or if I had a week off of work I’d…well, you get the picture. He was just a baby at this time and I can still see his little smile whenever I sang him this little tune. When I was writing songs for Obstacle Course, I decided to turn this little ditty into a song. I added verses and changed the chorus from “Owen and mama” to “me and my nana”. I thought nana had a nice ring to it and depersonalizing it would hopefully welcome others to join in on the fun. But guess what? I don’t call my grandma Nana, I call my grandma Oma. What do you call your grandma? Give it a listen. I hope you’ll sing along! “Nana” is a track on my upcoming album, Obstacle Course. Please check back soon for album updates or sign up for email updates by clicking the “Follow This Blog” button in the right sidebar. I wrote this song one day while waiting for Owen to wake up from his afternoon nap. On this particular day Owen slept a lot longer than usual. I found myself with precious free time but no idea what to do. I decided to build a fort out of a large cardboard box. I cut out a window and a door and – voilà – a fort! I was super excited to see how Owen would react when he saw his new fort. So I sat down and waited for him to wake up…and waited…and waited…”Hmmm?” I thought. “What should I do now?” I had to do something with all the excitement I was feeling over yes, a cardboard box. and the rest just followed. So now, here is the full song for your listening pleasure! “The Fort” is a track on my upcoming album, Obstacle Course. Please check back soon for album updates or sign up for email updates by clicking the “Follow This Blog” button in the right sidebar. Owen loves AC/DC. Actually he loves early AC/DC and early AC/DC only. Seriously. He started crying when his daddy played a song off of Back in Black. He only wants Bon Scott! Ask him what his favorite song is and without hesitation he will tell you “High Voltage”. His other favorites are “T.N.T” and “Let There be Rock”. Owen and his daddy watched some concert footage together and after seeing Angus Young’s energetic and physical guitar style he started standing with his guitar and moving around the room. I definitely think he picked up some moves. Recording is underway and we did a little mixing on a few tracks last week. Here is a first listen to a fun song about an unlikely friendship. A reminder to be who you want to be and to not get stuck behind stereotypes. One of the first rock ‘n’ roll songs Owen responded to was Queen’s “Crazy Little Thing Called Love”. It was on a kid friendly playlist I put together and every time he heard the guitar intro he would wiggle and dance around. I learned to play it on guitar and Owen, already showing signs of independence, of course wanted to play it too. I am working on a new project…children’s music! I will be going into the studio soon to record some songs for my debut children’s music album! I will post album updates and information on upcoming shows here. 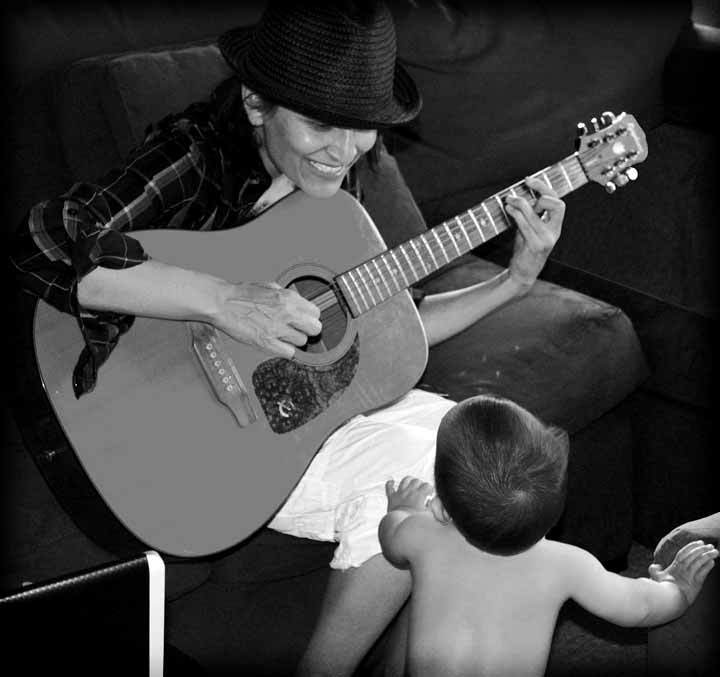 I will also share a little behind the scenes insight on my songwriting and songwriting inspiration: stories about my son and our adventures. 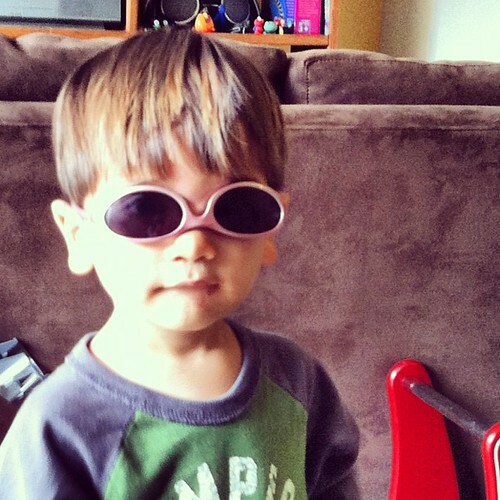 I am brand new to children’s music so I’ll share my findings as I explore the “kindie” scene. There seems to be a lot going on in the world of children’s music and I can’t wait to dive in.